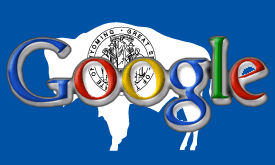 Congrats Wyoming — The First State to Go Google! The first state to create a national park (Yellowstone). The first state to claim a national monument (Devil’s Tower). The first state to allow women to vote. The first state to go Google. Wyoming doesn’t exactly have the reputation as a trailblazer state, but that perception should change. It has an impressive list of firsts, and converting all its state employees to Google’s cloud based Apps platform adds to the impressiveness. Government agencies are known for being slow to adopt new technology, and an entire state moving to something as modern as Google Apps is almost unheard of. “Because the email and other applications are hosted and maintained by Google, ITA employees who previously were responsible for maintaining our email system can be freed up to work on projects that are central to making the city run. Next Next post: Gmail, Google Apps, Apps for Business, and Apps for Non-Profit — What’s the Difference?